But, one of the more important PPC optimizations you should make is: adding and managing your negative PPC keywords. This is especially true during the early stages of creating your PPC account and launching PPC ads. That’s because—if you’re just getting started with PPC advertising—you don’t know which keywords are your best PPC keywords. If you haven’t performed PPC keyword research or competitive research, you may be “flying blind” for the first few months—using broad match PPC keywords to generate clicks and figure out which PPC keywords are best for your business. If your running PPC advertising for “financial advisors” in Austin, then the search “financial advisors in austin” would be considered a qualified click. However, if upon reviewing your search terms report, you noticed the actual keyword was “education required for financial advisors” and you’re a financial advisor (not an education institution) then this would be an unqualified click. You can avoid unqualified clicks and preserve your PPC ad budget for high-quality, qualified PPC clicks by adding keywords that disqualify the keyword. Those three negative keywords should help our PPC ads for financial advisors avoid unqualified clicks for people looking for information about becoming a financial advisor. 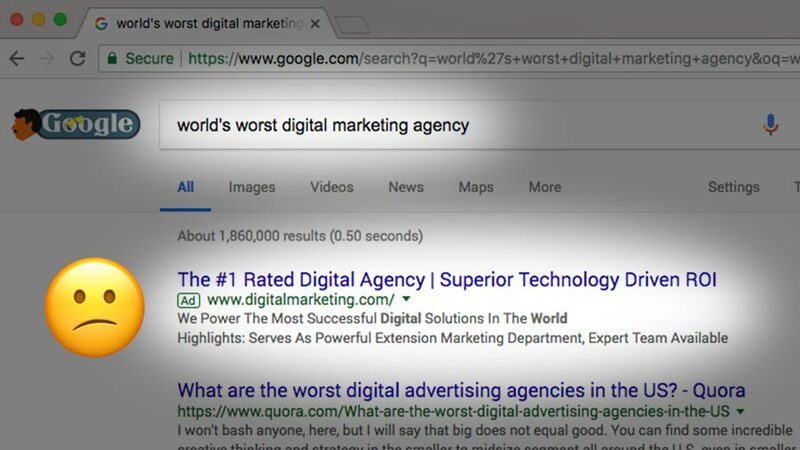 Or, let’s say you’re a digital marketing agency and you don’t want your ad to show when someone searches “world’s worst digital marketing agency” on Google… In that case, you might add “worst” to your negative keyword list. It’s important to note that there is a difference in adding negative PPC keywords at the campaign level vs. adding them at the ad group level. Give us a holler if you’d like to learn more about negative PPC keywords, PPC advertising, or more specifically PPC advertising for financial advisors.